I am crossing an item off my bucket list with this post today. I finally made vanilla extract. I am shamelessly doing the goal-post, arms-up-in-victory stance right now. I have wanted to make homemade vanilla extract for a few years now, but kept letting excuses get in the way. But now that I am jobless I have all the time in the world…and I have finally made vanilla extract! I also had a little bout of worry, thinking I might somehow make the worst vanilla extract ever. But as soon as I made the extract, I laughed at myself a little… it literally is so riddikulus-ly (see what I did there… HP fans will get it… hopefully) easy, it seems almost fail-proof. It probably took me 10 minutes to finish making the extract, including taking a few photos for this post. So, with Christmas basically right around the river bend (I think I'm going through a quote-y phase…), I thought I'd share this super simple recipe that is so multi-versatile for the holiday season. You can save money by having your own vanilla extract on hand for all the wonderful seasonal baking you'll be doing, or you can make little bottles to give away as presents… there are endless possibilities. 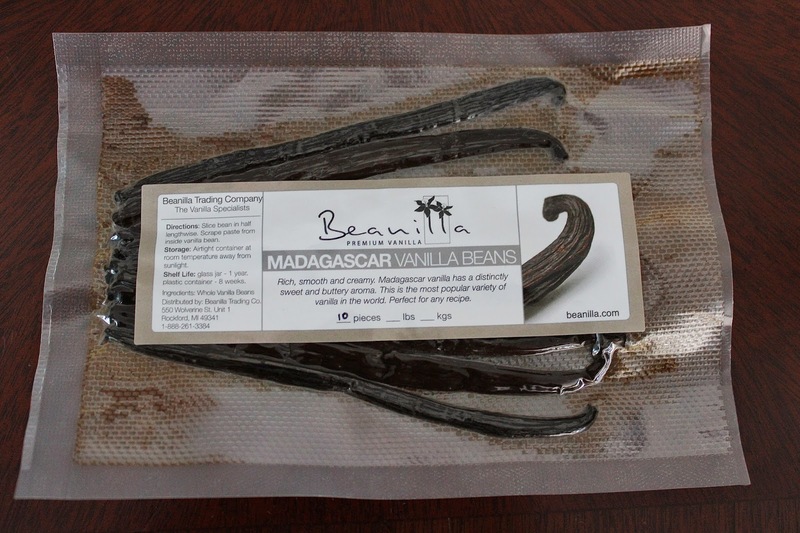 First things first: to make good quality vanilla extract, you need good quality vanilla beans. After quite a bit of research, I chose to use Beanilla, but feel free to choose whichever vanilla beans you like. 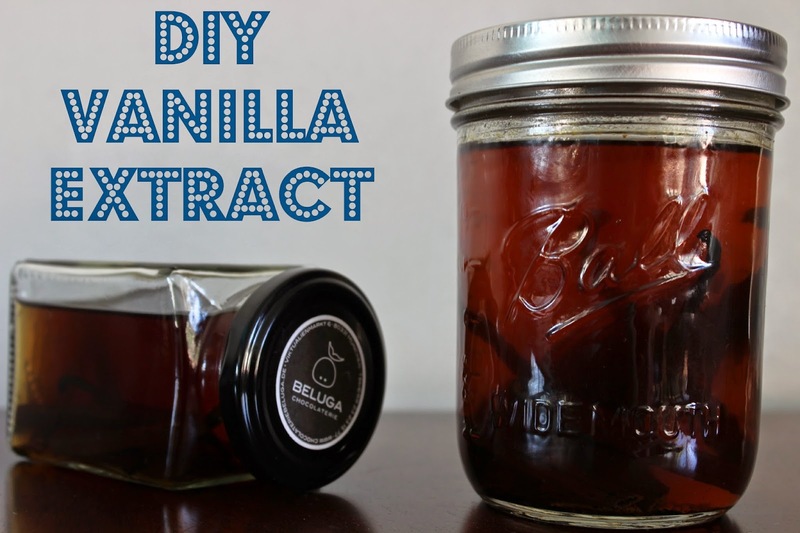 To make the vanilla extract, choose a few glass jars to use. I had a jar from Beluga Chocolatier in Germany that seemed the perfect size, & after scouring my house for a bit, found a cute little mason jar. With my jars differing in sizes, I added 2 extra to the mason jar since it was a bit bigger. Split the pods lengthwise and scrap out the seeds, add the seeds and pods to their respective jar. For a measuring reference I turned to one of my favorite bloggers (who has already been mentioned in a few previous posts… she's just so great) Joy [the Baker]'s recipe says to use 4 ounces of alcohol per 2 beans/pods. Add beans/seeds to their jars and pour your choice of alcohol (vodka, bourbon, or rum) over the beans. I chose to use vodka solely to have a neutral vanilla flavor. Bourbon is supposed to give the vanilla more depth and a bolder flavor, so I might have to make my second batch with bourbon since I'm a fan of strong flavors. You can honestly choose based on your taste preference, or try 3 different batches to see which you like best. There are no rules! Once I added the vodka and beans, I gave both jars a good shake and placed them into a dark, cool cupboard. After each week, give them a good shake again to help the ingredients continue to incorporate. Allow the extract to seep for at least 6 weeks before using - if you're going to gift vanilla extract for the holidays, start now or make your extract and label with a "ready to use" date. The bonus about making your own extract: you can always just add more beans and alcohol as your supply dwindles down, and it basically will last indefinitely. It's a win/win situation from every angle. Go ahead… do the goal-post, arms-up-in-victory stance (I really should figure out the technical term for this position) with me, you know you want to. New Beginnings + [New] Etsy Shop! !